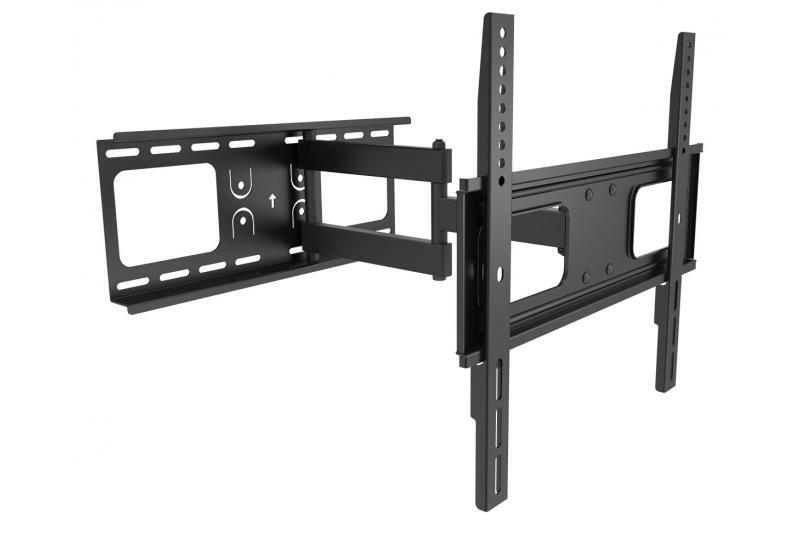 The Signal bracket has been designed to place a modern LCD/LED monitor / television on a wall. Its load capacity is 50 kg. 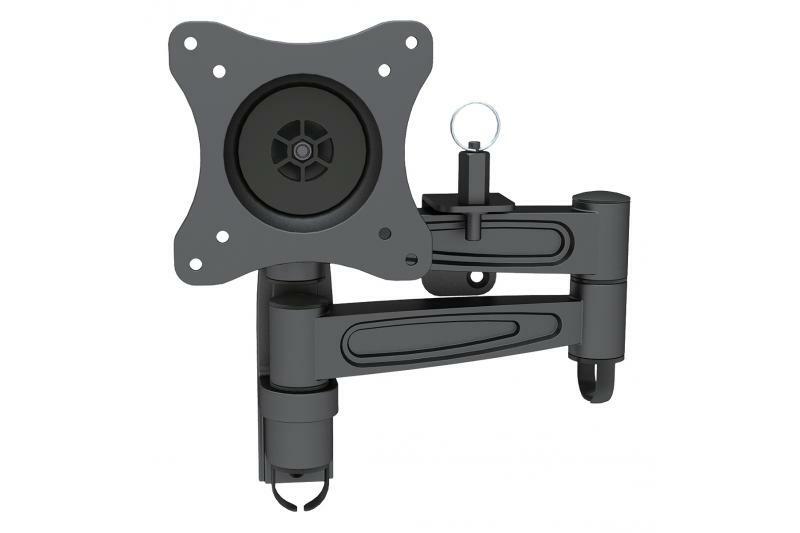 The bracket allows easy adjustment of tilt (without additional tools) in the range from -20 to 10 degrees. It is also possible to rotate the panel horizontally ( /-90 degrees) and adjust the distance from the wall (62 mm to 475 mm). Additionally, the panel can be leveled (skew adjustment within -3 to 3 degrees. The built-in level allows for precise and quick assembly. 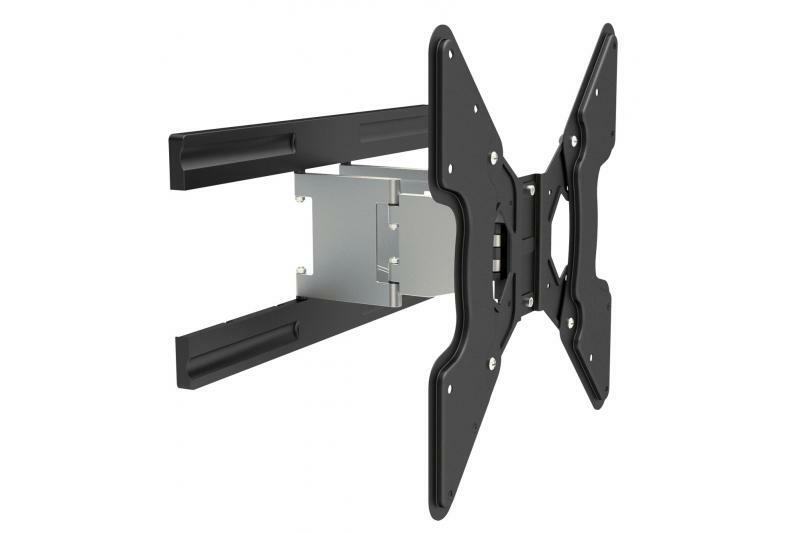 The mount has been specially prepared for cases where the position of a television or monitor should be easily adjusted (tilt and swivel). It also allows the user to adjust the screen in 3 planes. After changing the position of the panel, it may be necessary to correct the level of the screen - all adjustments can be performed manually in seconds, without any additional tools. 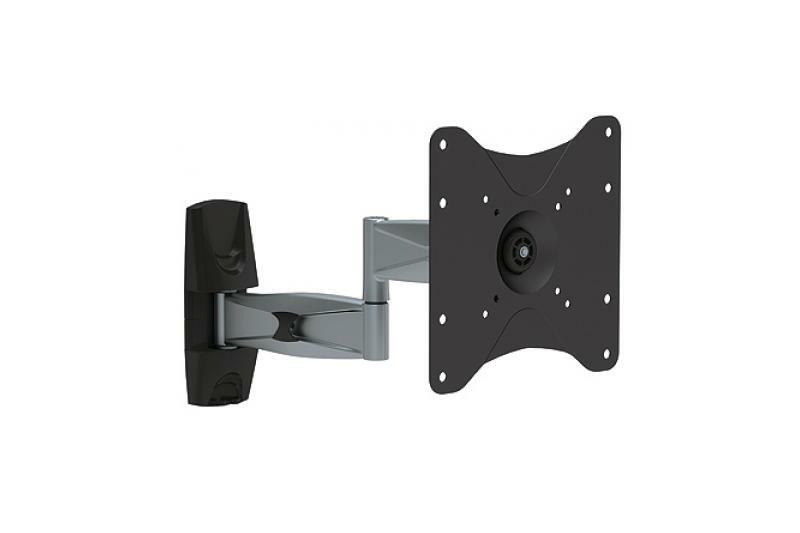 A slight downward inclination of the arm is typical and does not affect the safety and functionality of the bracket. 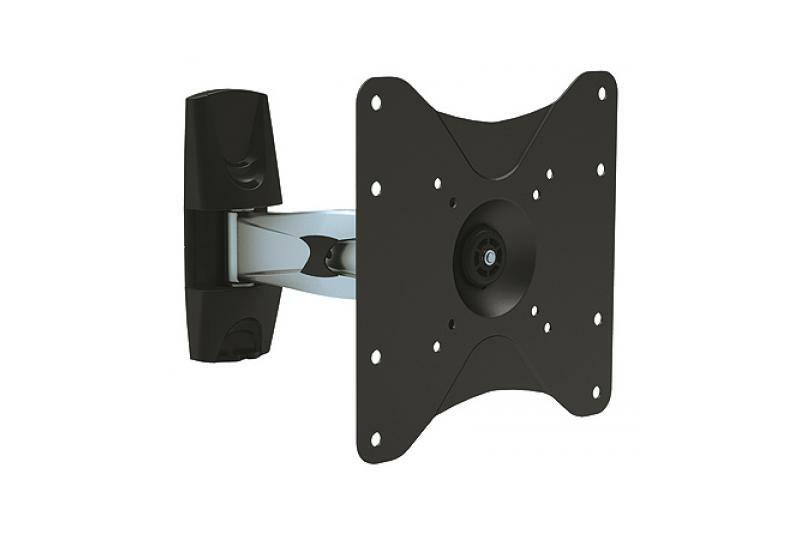 For installations where the position of the screen will be changed frequently, the recommended type of hardware is that with two arms. The wall has to carry the load of the panel and the mount, including a wide margin of safety. 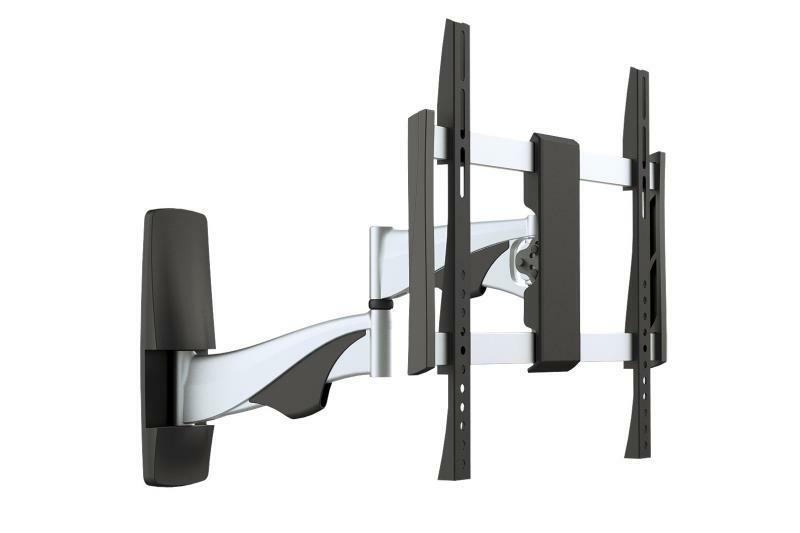 The mount cannot be installed on walls that do not provide firm hold (steel stud, old cinder block, plaster panel etc). If you are uncertain about the nature of the wall, consult an installation company. 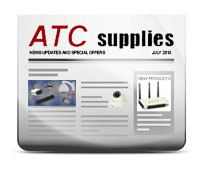 The set contains all components needed for typical installation. 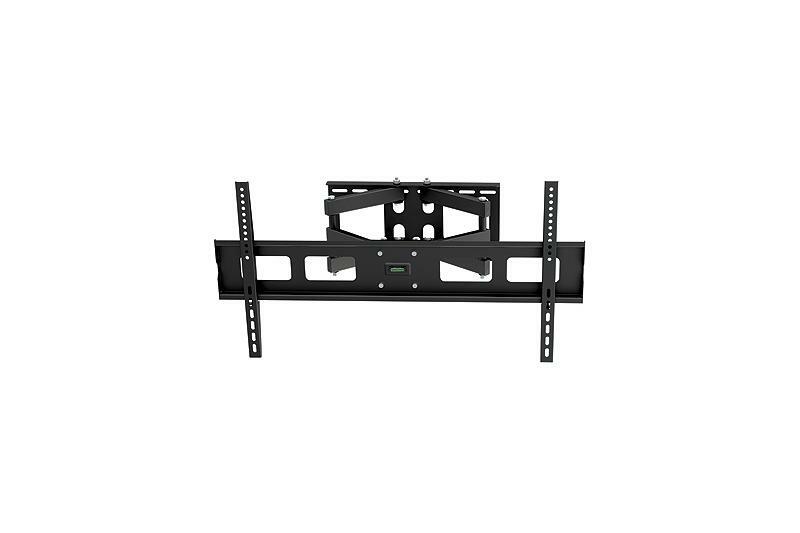 In some specific conditions there may be required auxiliary elements or tools that should be supplied by professionals installing this type of hardware. The basic tools required (not included): 3 mm drill bit for mounting on wood / metal constructions, 10 mm masonry bit for brick / concrete block installations, electric drill, Phillips screwdriver (min. length: 200 mm), marker. The set includes assembly instructions. If you do not understand those directions, or have any doubts about the safety of the installation, please call a qualified installer. Before mounting check carefully to make sure there are no missing or defective parts. If you have any doubts do not begin the installation. Screen size range 32" - 55"